It’s 27th January where you one of the many who set yourself new years resolutions? Can you even remember what it was? The big question is have you stuck to it? If you fit into this category then you are just one of many. The important thing is not to punish yourself or beat yourself up. We set resolutions based on the end result. I am going to stop smoking, I am going to start going to the gym, I am going to loose weight. You get the picture! What is missing is the steps you need to take to get there. You can’t drive a car without having a tank of petrol, car keys the knowledge how to drive and a map or sat nav to tell you where to go. 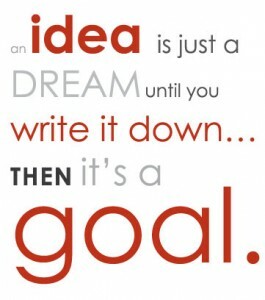 It not to late it never is to rewrite your goals. It is important that you goal is for you and only you. For example if you wish to give up smoking for you that is great but if you are doing it because you are being nagged to do so it will be very hard for you to ever do it. The goal needs to be driven by you and only you. Make sure you make them not only Specific Measurable, Achievable, Realistic and Time bound. Make sure you write your goal in the positive. What specifically do you want rather than thinking about what you don’t want. Also you have a plan off how you are going to get from where you are now too where you want to get too. What resources do you need to achieve your goal? Also think: How will you know when you have reached your goal? What will it change when you reach your goal? 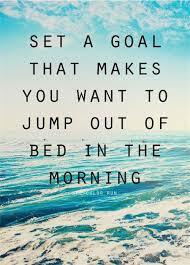 How will you feel when you reach your goal? Where will you be when you know you have reached your goal?